I'm not even going to try and remember how long it took to make this. But here it is FINALLY , my family portrait of the lovely creeps and OCs others have made too(including mine at the top right corner,still haven't decided a name for her though).DAMMIT BRAIN BE MORE CREATIVE! Is Happy Appy or Forenzik on here? Inak: It's me or the eyes of LJ is too long and the teeth of smile iis too big like the teeth of a boy who has teeth problem? OMG FINALLY SOMEBODY REMEMBERED HOMICIDAL LIU!! Ummm........Do you mind me using this picture as my profile?? i just LOVE this picture!!! I've been wondering, who decides the Creepypasta family? 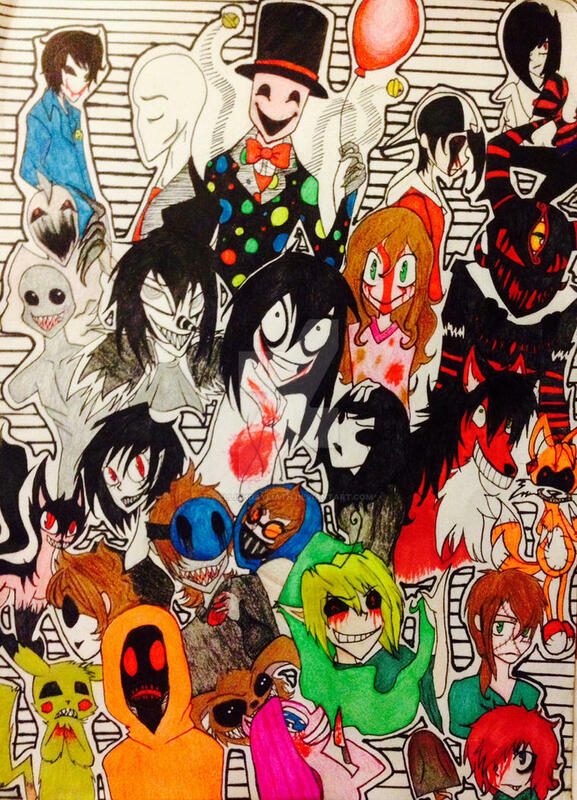 Cause I heard someone once say "If your story is read by Mr CreepyPasta, your in the family!" Of course, my favorite is Tails Doll! I like silvers expression, hes just like" why am I even here?" i feel as if you got everyone i know in there! le oh my god. FINALLY..... the right people. Ya don't have to add all four slender's... Really there's just two. This is a fact. Only Slender and Splendor exist. If you want to know more, le comment on my page. WHAT DA FUQ DID I EAT!?!?!? 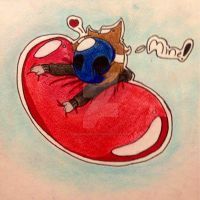 how come you didn't think about Sonic exe, Strangled and Glitchy Red? BTW mah face is Jeff. <3 its the first time I drew him. Of course your special :3 do people not usually mention you in any liu pics? Some people translated it into Spanish, so I find myself being left out once in a while. This is great, I've only read a few of these ones though. this is SO AWESOME OH YM GOD you did such a good job!